Atlanta is the arts and culture capital of the Southeast. From the nationally-acclaimed High Museum of Art to the interactive shrine of collegiate football – College Football Hall of Fame, Atlanta has something for every museum lover’s interest. Celebrating its 20th anniversary, David J. Sencer CDC Museum is one of four Smithsonian-affiliated museums in Atlanta. Located on the Centers for Disease Control and Prevention (CDC) campus, CDC Museum uses award-winning exhibits and innovative programing to educate visitors about the value of public health and presents the rich heritage and vast accomplishments of CDC. The museum features ongoing exhibitions including the Story of the CDC and the multi-media installation Global Symphony. This installation spans 100 feet in length with public health messages communicated through intriguing narratives alternated with visual vignettes. Emory University’s Michael C. Carlos Museum is one of the Southeast’s premier ancient art museums, with its collection dating back to 1876. 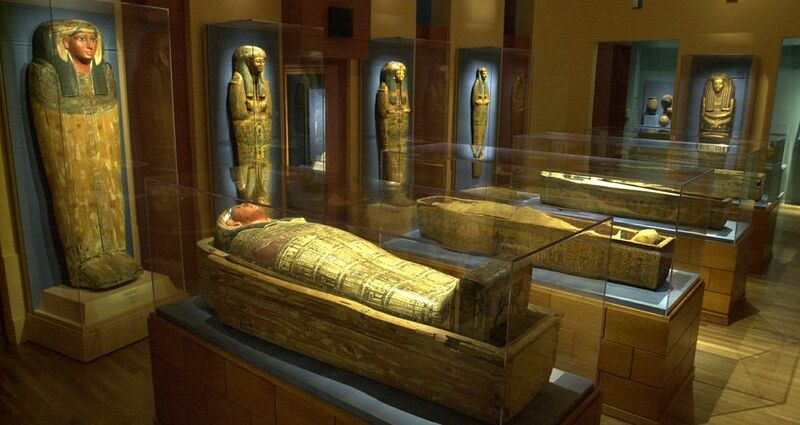 Carlos Museum has a permanent collection of artifacts including mummies from ancient Egypt, Nubia, Greece, Rome, the Americas, Africa and Asia, as well as a collection of works on paper from the Renaissance period to the present. Millennium Gate Museum’s mission is to preserve and interpret Georgia history, art, culture and philanthropic heritage as well as highlight Georgia’s historical and aesthetic relevance to the United States and the world. It is a classically-styled monumental arch located on Atlanta’s Westside and highlights Georgia’s history through interactive technology, film, period rooms and exhibitions. William Breman Jewish Heritage Museum celebrates and commemorates the Jewish experience and the universal themes of diversity and human dignity. The museum collects and preserves Jewish culture and history through permanent exhibitions like the Absence of Humanity: The Holocaust Years, 1933-1945, which was designed by local architect and Holocaust survivor Ben Hirsch. The Cuba Family Archives also houses the largest repository of Jewish archival material in the region.